You can read recent news, updates and newsletters. 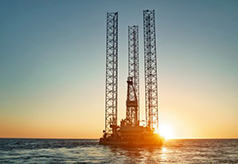 The Energy and Resources Minister has announced one new petroleum exploration permit will be granted for Block Offer 2016. Permit holders are reminded that changes to petroleum and minerals permit fees will take effect from 1 January 2017. NZP&M’s aeromagnetic survey in northern Otago/southern Canterbury has restarted after a two week break. Following consultation the Government has increased petroleum and minerals permit fees to recover the costs of permit administration. The new fees will take affect from 1 January 2017. Minister of Energy and Resources, Hon Simon Bridges has opened consultation with iwi and hapū on Block Offer 2017. Consultation with local authorities will begin on 17 October. It’s been a tough year for the minerals industry here and abroad but there is light at the end of the tunnel, writes National Minerals Manager Ilana Miller. Reservations of Land from prospecting for metallic minerals have been put in place over Murchison and parts of Otago. 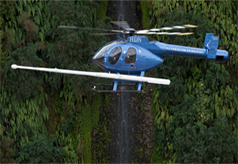 NZP&M’s aeromagnetic survey project is set to start in northern Otago/southern Canterbury. MBIE has gone out for consultation about proposed changes to petroleum and minerals fees. David Darby, NZP&M Manager Commercial Analysis & Investment, reflects on recent conferences and the perception of the NZ petroleum sector.